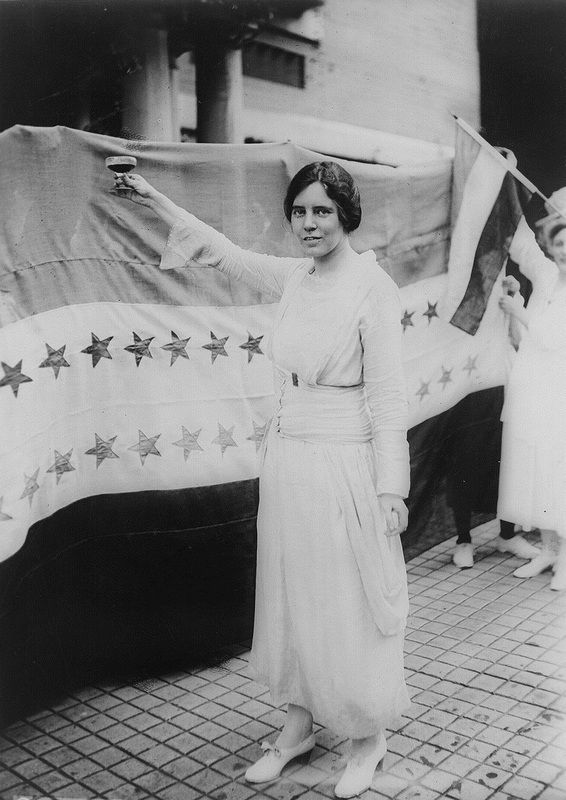 January 11 marks the 131’st birthday of the late Alice Paul – an American feminist who made it her life’s work to fight for women’s rights. Paul served as a key campaign strategist in passing the Nineteenth Amendment of the Constitution, which gave women the right to vote in the United States in 1920, one year after Quota International was founded. Quotarians in Indiana, Pennsylvania honor Paul’s legacy each year by holding a silent auction fundraiser with all proceeds donated to the Alice Paul House, which promotes awareness of domestic violence, sexual assault, and victimization. Over the last 12 years Quota members have donated $67 thousand to the Alice Paul House, providing a safe support system for victims in their community. Earlier this month, the First Lady of the United States, Michelle Obama, unveiled a new initiative to mobilize the public around an issue that affects the entire world. To date, there are 62 million girls, ages 6-15 who are not enrolled in school. The international non-profit, Girl Rising partnered with First Lady Obama to spread the word on social media and in popular culture that effecting change is a global effort, and starts with access to education. Educating the youngest among us has been at the forefront of Quota International’s mission for the last 96 years. Worldwide, primary schools are built, after school programs are managed, backpacks and school necessities are supplied, and book drives are hosted by the women of Quota International. Understanding the importance of early education, Quotarians in the Philippines donated the funds necessary to build a library in a local primary school. In Winchester, Virginia, United States Quota International donates hundreds of backpacks, binders, notebooks, etc. to local schools in their neighborhood. Canadian Quotarians fund deaf scholarships for students to attend leadership summer camps every year. In Suriname, a 40-year program has allowed hundreds of adolescents to succeed and achieve higher education. With every effort from the men, women, and children who support the need to educate young girls, gender gaps can begin to close. Learn about what you can do to change the statistics that effects millions around the world. Let #62MillionGirls learn to become the leaders, educators, innovators, and philanthropists we need in an ever-increasing global economy. Learn more about the #62MillionGirls campaign at: http://62milliongirls.com/ and follow @QuotaIntl on Twitter to see what Quotarians are doing to promote and create opportunities for young girls in their communities. “Girl Rising is a global campaign for girls education that uses storytelling to share the simple truth that education girls can transform societies.” Visit Girl Rising at: www.girlrising.com/. Photo caption: A young girl with her mother in India.